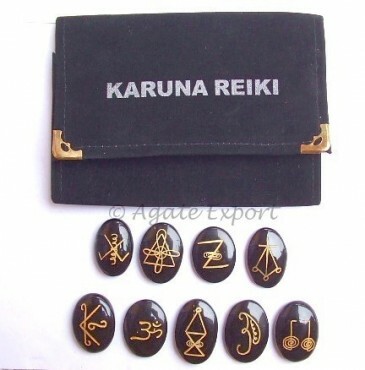 Karuna Reiki black onyx oval set protects the user from evils and gives them enough energy to help others to heal. It is available with Agate Export. Red Jasper Reiki 1 - 2 Oval Set.